Photo: BNP senior joint secretary general Ruhul Kabir Rizvi announces the plan at a press conference at the party’s Nayapaltan central office on Thursday. 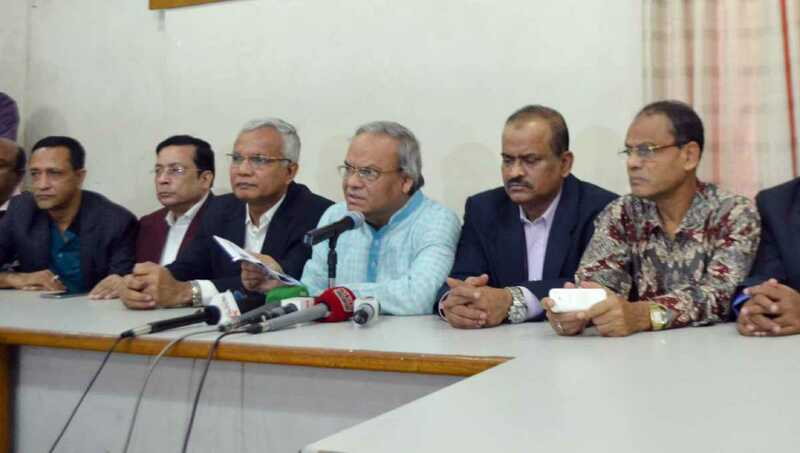 Dhaka, Dec 6 : Jatiya Oikyafront, led by Dr Kamal Hossain, wants to hold a rally at Suhrawardy Udyan in the city on December 10 ahead of the 11th parliamentary elections. On behalf of the Oikyafront, BNP senior joint secretary general Ruhul Kabir Rizvi announced the plan at a press conference at the party’s Nayapaltan central office on Thursday.